The Kaiser Trentwood factory is working to remove the PCBs that they’ve leached into the groundwater. ORIGINALLY DEVELOPED IN the late 1920s and produced exclusively by Monsanto in the United States, PCBs were a wonder chemical for industrial technology, with a high boiling point and electric insulating properties. But they also had devastating impacts on human and ecosystem health. For years, Monsanto suppressed internal findings about their toxicity. When the truth was revealed in the 1970s, the federal government outlawed the production of PCBs. 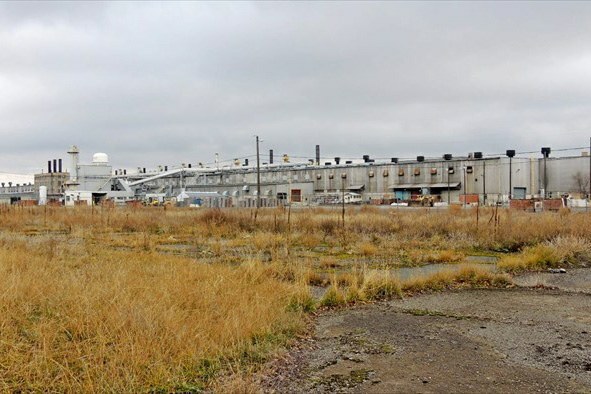 Spokane, Portland and San Diego, among other cities, are mired in lawsuits over the corporate coverup, hoping to recoup some of the costs of the cleanup; in most places, those costs and the necessary investments in infrastructure have fallen on local tax- and ratepayers. Like many pollutants that affect animal and human health, PCBs build up in the food chain, accumulating in small amounts in microorganisms, and then in increasing amounts in fish and the animals, like orcas and humans, that eat them. The U.S. Environmental Protection Agency lists PCBs as probable carcinogens that also impact hormone regulation and childhood development. Pregnant women and young children are most at risk from the chemicals, which cause birth defects and developmental disabilities in populations where contaminated fish are eaten regularly. The Washington Department of Health recommends restrictions on residents’ consumption of fish from the Spokane River. In 2016, the EPA limited the amount of PCBs allowed in Washington waterways to 7 parts per quadrillion (ppq), or the equivalent to seven regular postage stamps on a letter the size of California and Oregon combined. That’s far stricter than the PCB levels allowed in drinking water by the EPA, which is 500 parts per trillion. 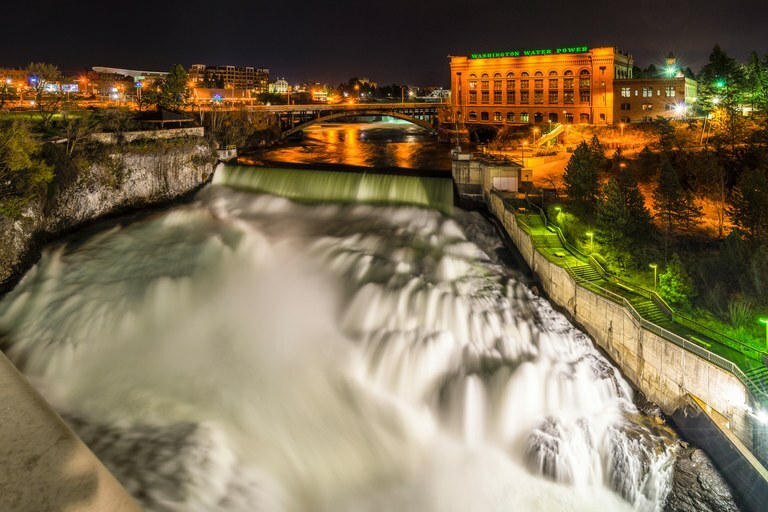 Spokane is the first place in the state to navigate the permitting process under the tighter restrictions. That’s because certain dyes and inks, like the classic yellow of a Cheerios cereal box, still contain PCBs, which can be inadvertently created in chemical processes, such as colored dye manufacturing, that involve high heat and chlorine. And if Inland Empire uses paper with those dyes on it, it’s responsible for the PCB waste from them. To the frustration of wastewater dischargers and clean water advocates, EPA regulations allow those contaminants up to 50 parts per million in finished products — more than 1 billion times the amount allowed in wastewater discharges. “As long as this inadvertent PCB allowance exists, I find it very doubtful that we’ll be able to meet a standard like 7 parts per quadrillion,” said Doug Krapas, the environmental manager for Inland Empire Paper. This disconnect has pushed Krapas, along with local conservation groups and Northwest tribes, to take Spokane’s PCB fight beyond the county line. They’ve sent petitions to federal regulators spelling out the problem: As long as we continue to allow PCBs to be produced in some parts of the system at such high levels, we won’t be able to get ahead of the pollution curve. They are asking the EPA to amend the Toxic Substances Control Act to lower the acceptable amount of PCBs in manufactured products. That would have international consequences, as many PCBs come from products manufactured in Asia and India. Krapas said that some companies, like Apple and Hewlett Packard, have adopted standards that require far lower PCB levels in the products they purchase and produce, and that inadvertent production of PCBs is largely avoidable. But the lack of oversight and lax rules on PCBs in manufactured products leaves facilities like Inland Empire Paper frustrated, trying to undo pollution they didn’t create and lack the technology to entirely eliminate. Rachel Harwood explains how soil microbes can break down petrochemicals. MEANWHILE, SPOKANE’S NEXT generation is looking for innovative ways to tackle existing PCB contamination. Just half a mile from the Spokane River, the Institute of Science and Technology at North Central High School looks more like a college research center than a public high school science classroom. Tall windows gaze out over sports fields, as lab partners Nick Heimbigner and Rachel Harwood pore over the latest data from the lab’s gas chromatograph, which show how soil microbes are breaking down petrochemicals from the city’s stormwater drains. Bioremediation, the practice of using plants, fungi and microbes to break down pollutants, is an important part of many environmental cleanup efforts. Their experiment is part of a project, funded by the toxics task force and run by the Lands Council, that looks at using natural systems to breakdown PCBs. It was started after an earlier study showed some potential to use bioremediation to breakdown PCBs. 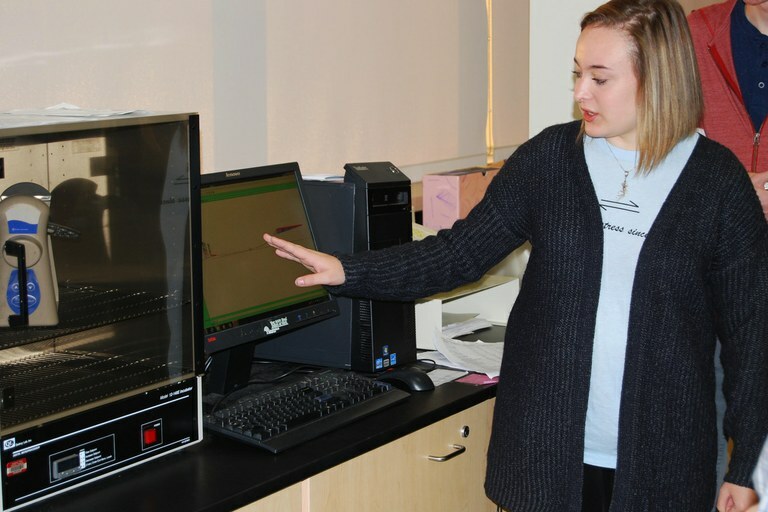 Unlike the previous study, which used a specific fungus, the students and their advisers are trying to supercharge a wide array of native microbes with nitrogen to get them to chew up the toxic PCBs. That will make their fix specific to Spokane. “The most successful bioremediation occurs when you are utilizing the indigenous (microbial) populations that are already suited to the land,” Heimbigner said. PCBs are some of the toughest chemicals to destroy, as soil organisms often bypass them for marginally more appealing toxic nibbles. Biology teacher Dan Shay compares it to trapping a group of students in a buffet restaurant for a year. At first they would eat the tasty stuff like desserts, then the less desirable food like pasta, and by the end, “they’d be stuck eating stuff like lima beans and shoe leather,” Shay said. PCBs are the shoe leather in this scenario, he explained: one of the hardest chemicals for microorganisms to digest and therefore the last course in a bioremediation meal. So, rather than focusing their studies directly on PCB levels in the city’s waste, the students are working to clear out the rest of the toxic buffet first. That means monitoring how quickly things like motor oil and diesel fuel disappear from the soil. If those petrochemicals are being digested, “then we know bioremediation is occurring,” Heimbigner explained. And once those other pollutants are removed, the microorganisms will be left to chew on the PCBs. 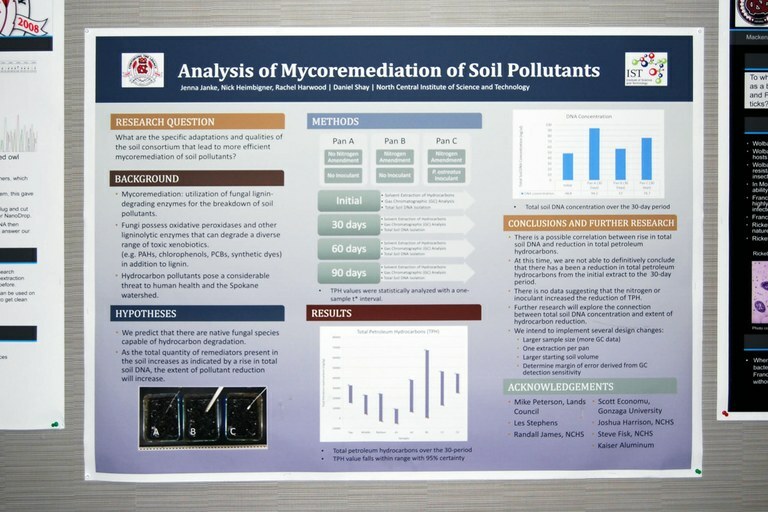 North Central High School students’ poster describes their scientific process. Note: This story has been updated to correct student Nick Heimbigner’s first name.